The 2013 Lincoln Navigator epitomizes a luxury SUV with a brawny exterior design, a traditional body-on-frame layout and a lengthy list of upscale features. Because of its heavy-duty character, the Navigator is an adept tower, too. Lincoln offers the 2013 Navigator in two trims that are differentiated by their body lengths. The Navigator is the standard model, and the Navigator L is the extended-wheelbase version. The standard seating capacity for the Navigator is seven, but an eight-seat configuration is available. A V8 engine pairs with an automatic transmission. Power is routed through the rear wheels, and four-wheel drive is available. The Cadillac Escalade and the Infiniti QX56 are two of the Navigator’s main competitors. There are no major changes for the 2013 model year. Massive and bold, the 2013 Lincoln Navigator exudes confidence. In a nod to traditional American luxury vehicles, the Navigator boasts a large amount of chrome, including the sizable front grille. It also has a few rugged elements, such as a boxy design, wide fenders and a ridged hood. Standard features include 18-inch wheels, fog lights, heated and power-folding side-view mirrors, a power liftgate, power-deployable running boards and rain-sensing windshield wipers. A moonroof and 20-inch wheels are optional. With its sizable footprint, the 2013 Navigator offers a roomy and comfortable cabin. If you anticipate frequently using the third row, the Navigator L’s extra length will be appreciated. Not surprisingly, material quality is superb in the Navigator. Cargo capacity is excellent as well. 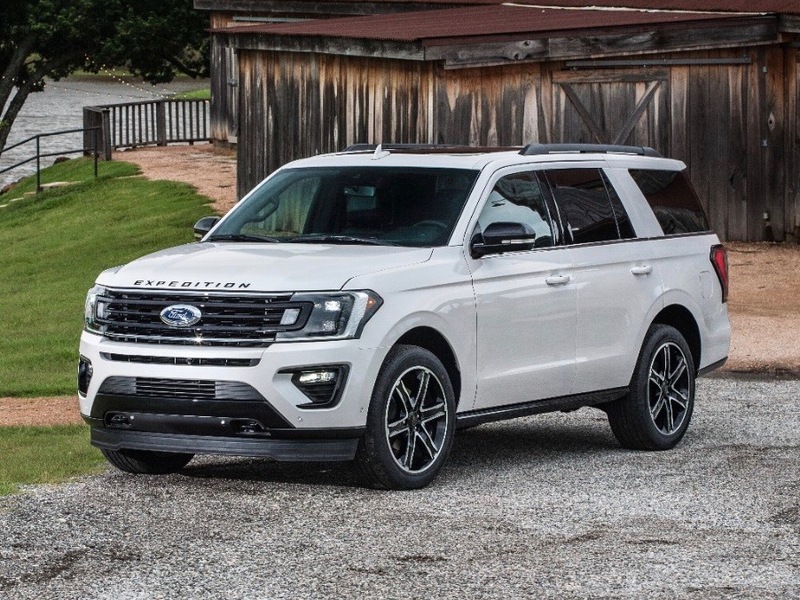 The Navigator has 18.1 cubic feet of space behind the third row, 54.4 cubic feet with the third row folded and 103.3 cubic feet of cargo space overall. Those measures in the Navigator L are 42.6, 86.3 and 128.2 cubic feet, respectively. Leather upholstery, heated and ventilated front seats, dual-zone automatic climate control, power-adjustable pedals, a tilt-and-telescoping steering wheel, heated second-row seats and a power-folding third row are standard. Second-row bucket seats are optional. The 2013 Lincoln Navigator comes with a 5.4-liter V8 that produces 310 horsepower and 365 pound-feet of torque. The engine is paired with a six-speed automatic transmission. Rear-wheel drive is standard, and four-wheel drive is offered. When properly equipped, the Navigator can tow up to 9,000 pounds. The EPA rates the Navigator to get up to 14/20 mpg city/highway. Lincoln packed the Navigator with an abundance of tech features. Standard equipment includes front and rear parking sensors, a rearview camera, a 110-volt power outlet, remote keyless entry, navigation, a 14-speaker audio system, Ford’s SYNC infotainment system, satellite radio and 10 GB of digital storage for music. A DVD rear entertainment system and a remote start system are available. "This is our second Navigator. We bought it for the comfort when we travel, its cargo space, and quietness. We looked at other SUV's and found the Navigator to best meet our needs." Percentage of 2013 Lincoln Navigator for sale on CARFAX that are Great, Good, and Fair Value deals. Values are determined by whether the selling price is above, below, or the same as the history-based CARFAX Value. The Manufacturer's Suggested Retail Price (MSRP) is the "sticker price" for this vehicle, including optional equipment, when it was new. The price range for the 2013 Lincoln Navigator is $17,895 - $24,798. The average selling price is $21,019. The data below is updated daily, based on used car inventory for sale on CARFAX. Price range and average selling price are based on the median selling price while CARFAX Value is a VIN-specific value based on the vehicle's history. This is the price range for the 2013 Lincoln Navigator based on used car inventory for sale on CARFAX. This is the range of CARFAX Values for the 2013 Lincoln Navigator on used car inventory for sale on CARFAX. The price information for 2013 Lincoln Navigator trims is not available.